I am a knitwear designer / teacher / instructional illustrator. 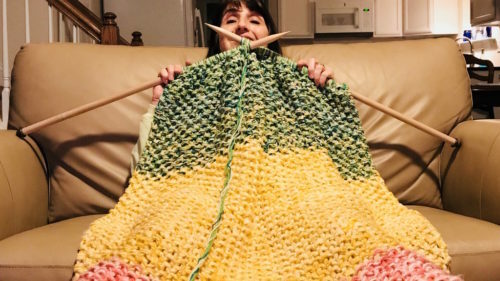 I would like to have a group of eager knitters and crocheters that would make prayer blankets. They will be used for the church distribution to needed members and local hospitals. Our group will meet 7:00 - 9:00 pm The second Thursday each month to knit/crochet, encourage and share our creations. All experience levels welcome. I'd be happy to teach anyone that has a desire to learn and serve. Location changes so join the group for updates.